One of my favorite ways to reflect and actually have undisturbed, productive and fulfilling time to sit with God, to create, dream, set goals and work has been to have a creative writing retreat. 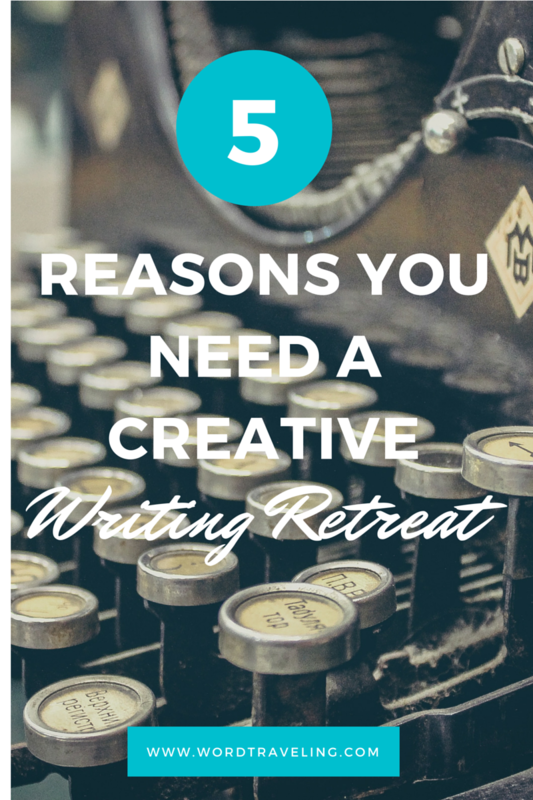 I’m willing to bet, if you’re reading this, you’ve been craving that time for a creative writing retreat, too. Keep reading for your chance to join us for our fourth #LetYourWriteShine retreat, FORTH, promising to be a transformational weekend for your faith, your writing and your life that will equip you with the tools to MOVE forward in your creative journey. I’ve grabbed time away for myself, have invited friends to our beach cottage, or have taken time far away to create, reflect and write. Each time, the setting has been different. Yet, after I’ve committed the time away, I always get “back to life” feeling closer to God, refreshed and accomplished, ready for the next phase in motherhood intertwined with creative aspirations. There’s never enough time in the day when you’re at home. Being in the presence of other creative writers helps spark your own creativity. Time and money set aside and invested into your dreams always produces a return on investment. A gorgeous and peaceful setting dedicated to the Lord will inspire you and ignite visions. The time with like-minded women away in God’s presence wanting to glorify Him is priceless. This is your invitation to join us, Friday, November 9 to Sunday, November 12, 2018 for a Christian Women’s Creative Writing Retreat. Find more details, signup here, & keep reading. Tell Me More About Shine Retreats, 2019! Submitting your contact information here doesn't require or guarantee registration. Ticket pricing for the all-inclusive 2 day weekend (transportation not included) begins at $450. Don’t Miss Your Chance to Join in the Best Retreat YET! As a full-time homeschooling, work-from-home-entrepreneur mom juggling a mile-long to-do list, I know the real life challenges. I get how hard it is to grab focused time to be with the Lord, to write and to work in between math lessons, co-ops, laundry, housekeeping, grocery stores and chores. Yet, I also know many of us are called to write. We are called to share glory stories of God’s goodness, faithfulness, and the challenges we’ve navigated in this life to experience His glory. And I also know what a blessing it becomes to myself and others when I’ve been able to use my creative gifts. We need a creative writing retreat. Our the time is anointed! You’ll be in the most incredible setting, be challenged and encouraged, pray and worship together, eat amazingly well, drink tons of coffee, walk the beach, (maybe this time even use the hot tub!) build an incredible sisterhood with like-minded women and a secret Facebook group, and leave with an incredible “SWAG” bag full of blessings from incredible partners! Consider this your official invitation. Spots are very limited. Seriously. There will be about twenty women, including the incredible leaders. Your small investment into your dreams starting at JUST $450 is priceless. Seriously, that’s the BEST PRICED WRITING RETREAT ANYWHERE! (check out these for comparison pricing) If you booked a seaside hotel for two nights and had to feed yourself, you’d spend MORE this much money, and it wouldn’t be in the company of like-minded women in this glorious Outer Banks oceanfront setting thanks to Resort Realty! Join us for our Christian Women’s Creative Writing Retreat! You can find the schedule and more details about FORTH: Our fourth #LetYourWriteShine retreat, November 9-12, 2018 here. For more details, and to sign up for our incredible Christian Women’s Creative Writing Retreat, click over here. I’d be thrilled to host you! Still have more questions? Visit the FAQ Page. Have you ever attended a Christian Women’s Creative Writing Retreat? What were your biggest take-aways? Let me know in the comments below!